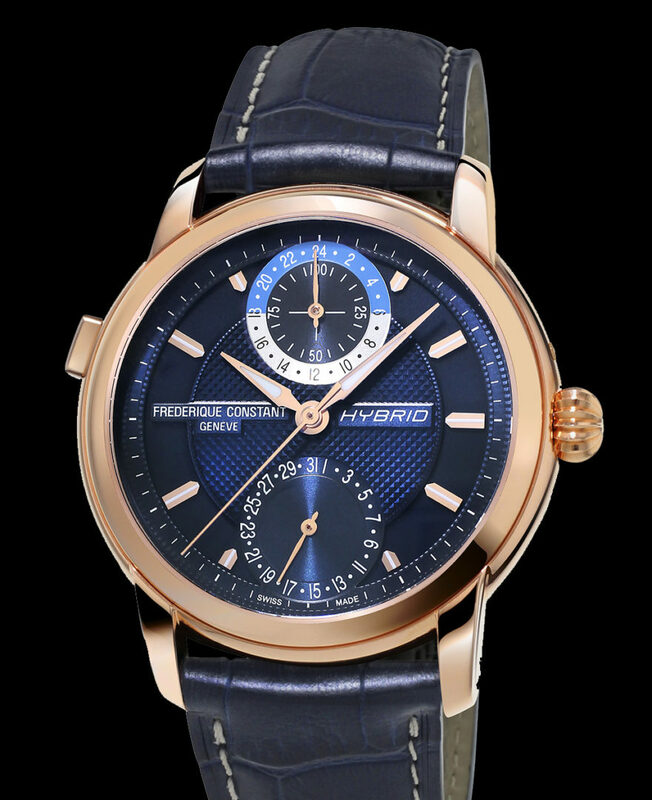 The Frederique Constant Hybrid Manufacture is an unusual watch, which is saying quite a lot in today’s market. It is a mixture of a classical automatic movement and a smartwatch module, a hybrid…like the name says. We reviewed it from last year, and remain impressed. This year, new dials. – A connected module allowing different activities such as activity tracking, defining your objective like number of steps per day, quality and quantity of sleep, dynamic coaching (getting suggestions, tips and information tailored to your personal activities and goals) and a worldtimer (second time zone or local time in a 24h format). 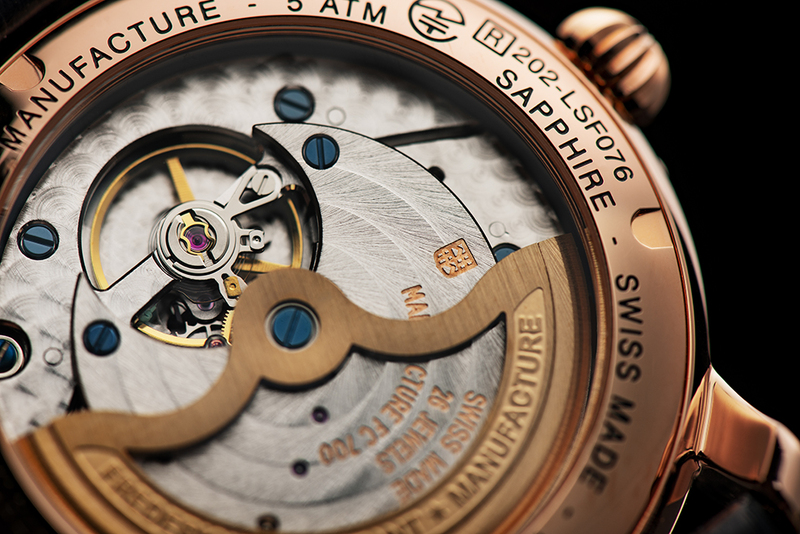 – A calibre analytics functionality that measures rate, amplitude and beat error of the manufacture automatic movement. All the results are communicated to the Hybrid App via Bluetooth and can be seen in the form of graphics over time. 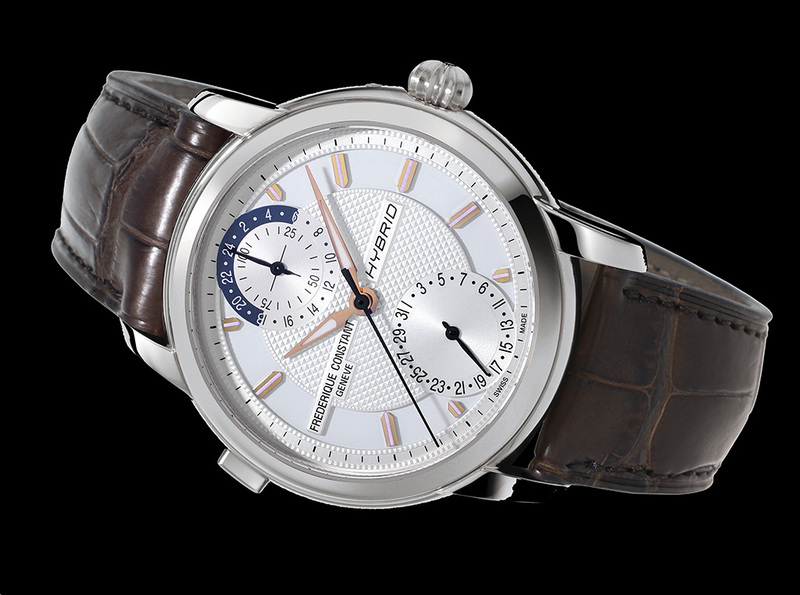 The Frederique Constant Hybrid Manufacture comes with two new models and two dials versions. 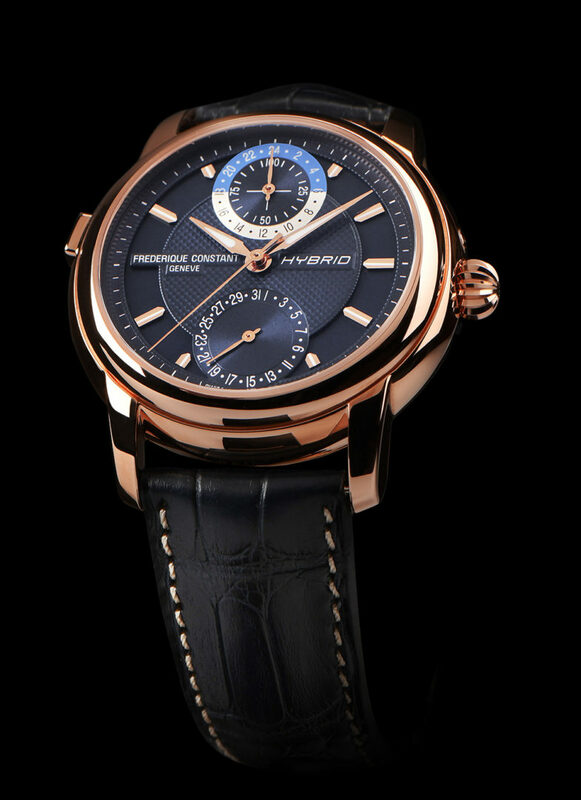 A silvered dial for the polished stainless steel and a navy blue dial in the steel rose gold-plated watch. 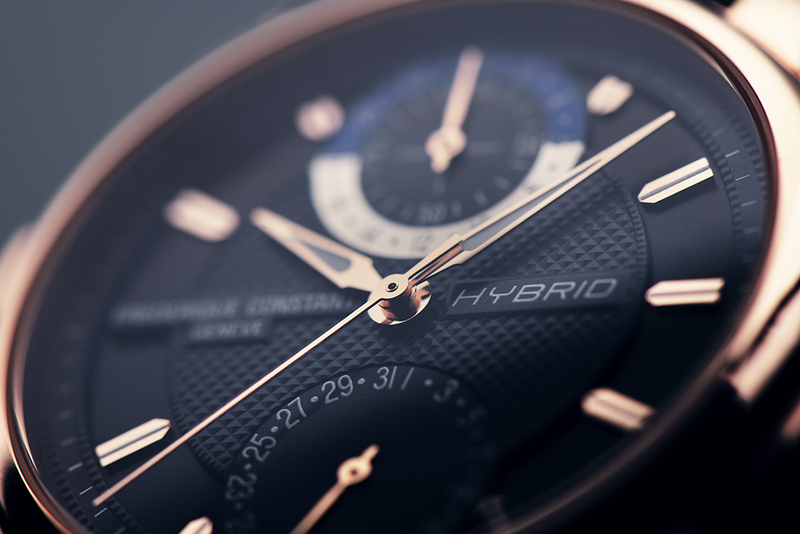 The Hybrid family is fitted with the FC-750V4H6 automatic Manufacture Hybrid caliber and a 38-hour power reserve plus a 7+ day battery life for the connected module that can be linked to its Hybrid’s companion application available both on Google Play and Apple Store. All collected data is saved each time one opens the app thanks to a dedicated Cloud hosted securely on a Swiss protected server. The Hybrid Manufacture is delivered into a luxurious wooden winder box offering a removable charger for the electronic Smartwatch functionality and a winder rotating box that charges the barrel in the mechanical caliber. Suggested price: starting at $3,695.